As the number of adolescents and youth taking part in contact sports in the recent years has increased drastically, one other factor that has also seen an unprecedented growth is sports injuries. Estimates suggest that as many as 20 million youth take part in sports, increasing the number of sports related injuries by about 35%. In addition to this, as much as 20% of the overall sports related injuries include injuries that cause extensive dental damage. It is said that any given athlete has the likelihood of attaining a dental injury about 50 times more than injuring any other body part in the absence of a custom mouthguard. The basic elements of a custom mouthguard provide muscle strength and head stabilization. The custom athletic mouthguards have a role in reducing the incidence and severity of cerebral concussion in sports. According to an evaluation by the American Dental Association, custom athletic mouthguards have the potential of reducing dental injuries by up to 1.9 times. 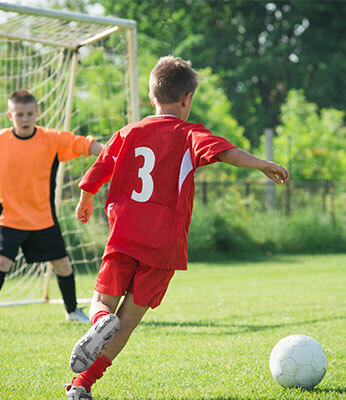 Dental injuries attained during sports can be grouped into three main categories. Almost all of these injuries are sustained due to a fall or when the athlete comes in contact with a sudden impact. This includes fractures wherein the tooth gets chipped or broken. Root fractures are also included in this category. Avulsion is also another commonly occurring dental injury due to impact injuries in sports. Avulsion includes the tooth getting knocked out of the athlete’s mouth. In such cases, the tooth gets knocked out along with the entire root instead of only a portion detaching itself as in the case of a fracture. Luxation is another common dental injury that can occur among athletes. This includes the tooth being displaced inside the athlete’s mouth. A lateral displacement is also possible wherein the tooth is either pushed or pulled from its original place. The displacement can either be an extrusion wherein the tooth appears slightly longer than the surrounding teeth. Luxation also includes an intrusion wherein the tooth appears to be shorter than the ones next to it. Most of these dental injuries can be repaired and handled easily if the athlete is immediately treated by Dr. Haque and her associates. The broken tooth fragments should be taken to Market Place Dentistry within the hour in milk or physiologic saline solution. It is always advisable to wear a customized athletic mouthguard in any sport that may involve contact with other players or props and surrounding environment. A good custom mouthguard should be very comfortable and provide adequate protection to your teeth while being easily cleanable. It should allow speech and should be resistant to tearing. Always remember that damaged or broken teeth do not grow back. 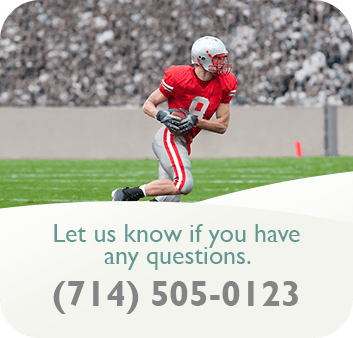 So, protect that perfect smile with a custom athletic mouthguard while you enjoy your favorite sport.